After three weeks in the Democratic Republic of Congo a Carleton University student is confident that his soccer club goes far beyond teaching the skills of the game. Jedidiah Kabuya, far left, with youth from Salem Football Club. Photo by Morgan Milne. Jedidiah Kabuya, 21, left Canada on April 13, and spent the first two weeks of his trip volunteering with Watoto Ministry, a Christian organization that works with orphaned youth in Uganda. He then traveled to Goma, the DRC, to distribute soccer equipment and meet the children who are part of Salem Football Club, a team he founded earlier this year. “It’s all about working with orphans and youth-at-risk and helping them grow as individuals,” says Kabuya. Named after the Hebrew word for peace, the Salem Football Club has over 100 unofficial members between the ages of 12 and 17. Most of the team members have been orphaned by ongoing conflict in the DRC. Kabuya, who laughingly describes himself as a “Jesus-freak,” was inspired by his religious upbringing to start the soccer team. “It’s God’s vision. It’s His foundation,” he says. With the help of Ottawa’s Peace Tower Church, Kabuya collects donations in Canada to support the team. 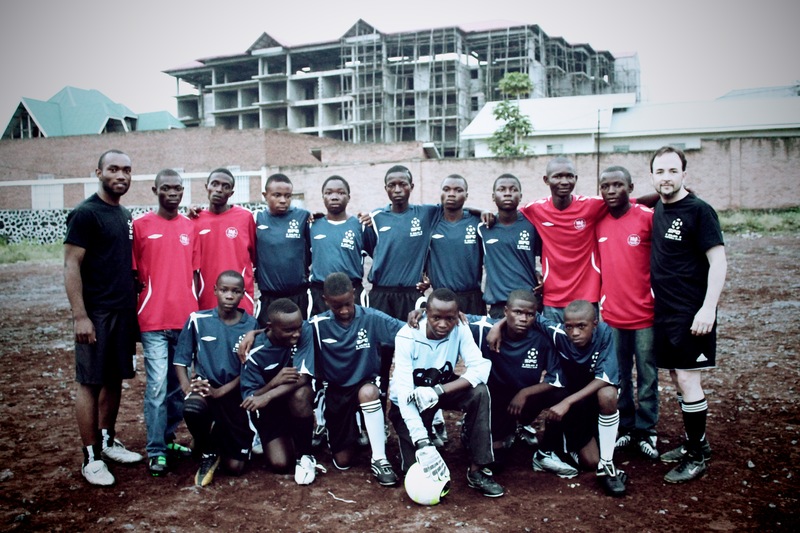 Meanwhile, a church in Goma helps organize the players and select which members get to play. This is coordinated through “a lot of e-mailing and calling,” says Kabuya. This April, Kabuya met the players for the first time and delivered over $2, 000 in donations to the team. 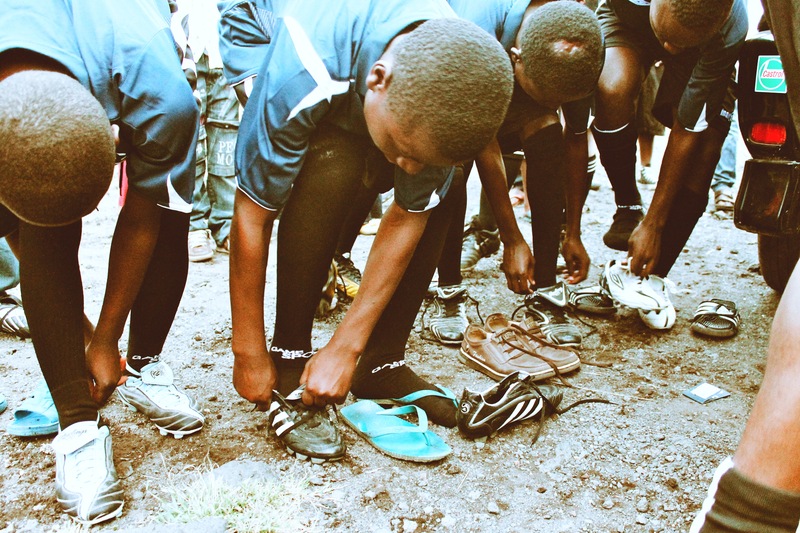 Donated items included 17 pairs of soccer cleats, 24 pairs of socks, uniforms and a first aid kit. “They put on the stuff that we brought them and you could really see the pride in them in the way they started walking and showing off to their friends,” says Kabuya. The trip was Kabuya’s first time returning to Goma since his family left 12 years ago to live in a refugee camp in Uganda. He says the conditions in the city, which was seized by rebels for two weeks last November, surprised him. “It’s a broken country. It’s really poor, and I expected that. But being there, ground zero, and living in the moment, I was shocked, actually. I was shocked to see what was going on and the conditions that these people were living in,” he says. Kabuya and Milne are committed to continuing their involvement with the Salem Football Club, and have already begun planning a return trip and fundraising to build the players a new soccer field. “Nothing is stagnant. We’re always moving. We know this is just the beginning,” says Milne. Kabuya says he hopes the children he works with will be inspired to see a former Goma resident who has overcome the same struggles they face every day.